About 12 years ago, at a time of great change in Lauren's life, she decided to commit herself to really taking control of her own health and wellness. After making changes to her diet, losing weight and incorporating intensive exercise into her daily routine, Lauren was able to completely change her life! Making these changes not only improved her health and wellbeing, but also helped her to tap into her own inner strength. It was during this time that Lauren began to consider the effect of living a” Fearless Life” and taking control of her own destiny. She returned to school to study Exercise Science and pursued a brand new career as a Personal Trainer so she could share her passion for health and wellness along with all she had learned about the benefits of Fearless Living. She obtained numerous National Certifications and is constantly striving to pursue further continuing education to keep abreast of current fitness and nutrition trends and developments. In pursuing fitness to help herself medically, she discovered an awakened sense of adventure that she never realized was within her! Her journey has truly been a life altering experience and has shown her how much power lies within each of us to create our own destiny. Lauren believes it is her purpose in life to share what she has learned with others and help them to live their own version of a Fearless Life! Lauren offers her clients a complete lifestyle coaching experience and strives to help them to live happier, healthier and more productive lives. Lauren believes life is meant to be lived to the fullest, and in doing this, true balance can be achieved! ​She has embraced her adventurous soul and has been skydiving, glacier hiking, rock climbing, dog sledding as well as many other active pursuits. She is also a committed volunteer and traveled to New Orleans after Hurricane Katrina and built a home there for Habitat for Humanity. In addition, Lauren has been a featured speaker and Lifetime Ambassador award recipient for the Make-A-Wish Foundation of Southern Florida and has been featured in the Sun-Sentinel, The Parklander, Ocean Drive and South Florida Opulence Magazine. 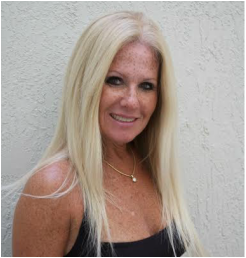 She has also been a featured speaker at The Ultimate Wellness Workshop in Boca Raton.